Located on Four O'clock Rd. you can easily walk (approx. 100 yards) to the Snowflake chairlift giving you the option to ski in for lunch and avoid taking the shuttle to and from the parking lots at the end of the day. 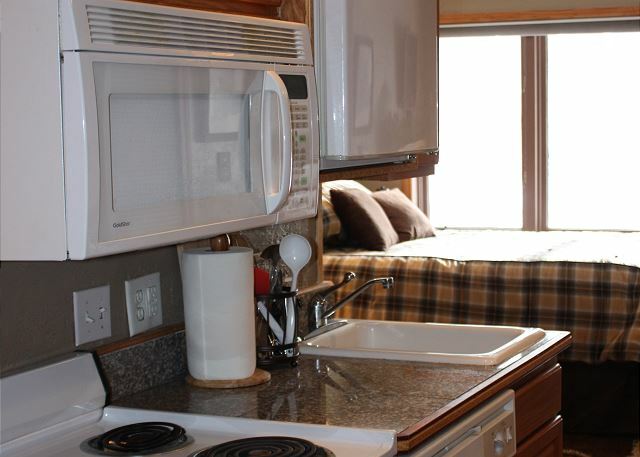 The unit comes with one parking space on the premises as well as a sauna and laundry facility. 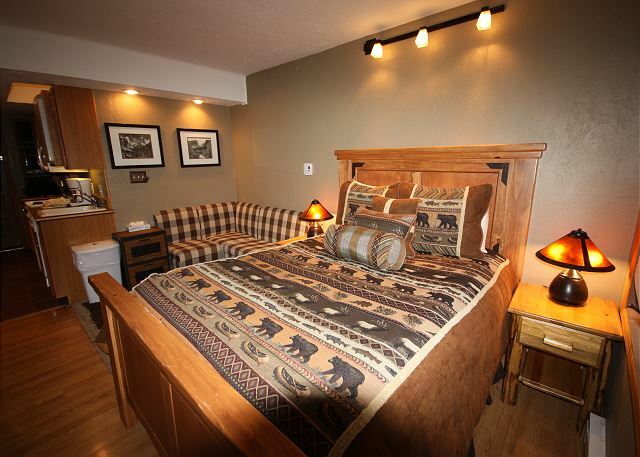 Nicely decorated unit to provide the perfect space after a long day on the mountain. 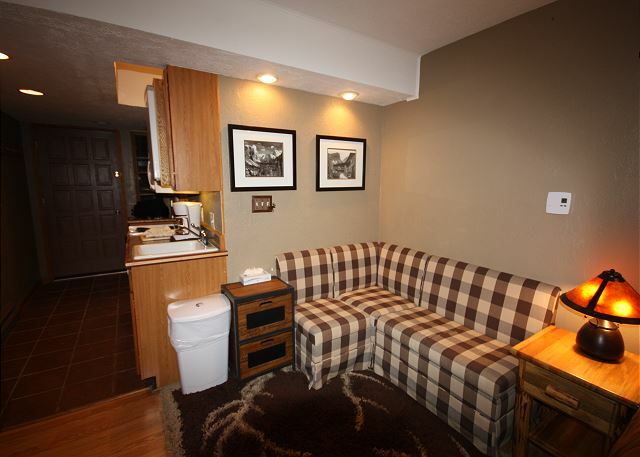 Only a short walk to downtown and Main Street for shopping and dining. 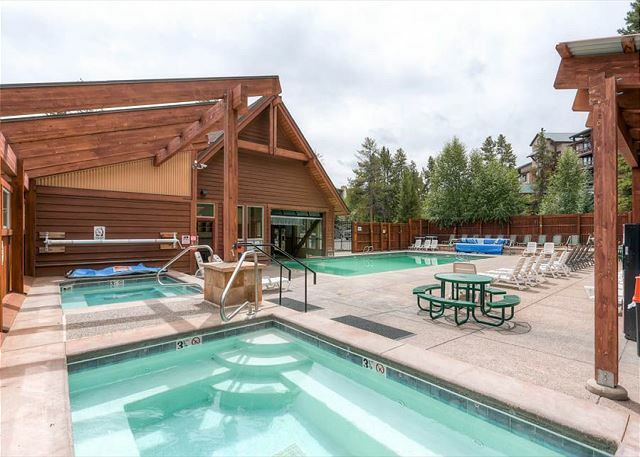 You are given access to The Upper Village Pool which includes seasonal indoor/outdoor swim access and two hot tubs. 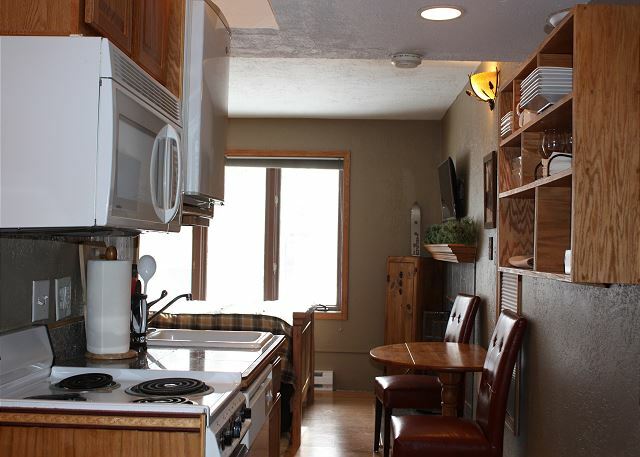 This studio is not only great for skiing but all year-round, when the snow melts and you can see and hear the Ten Mile Creek right outside your front door. 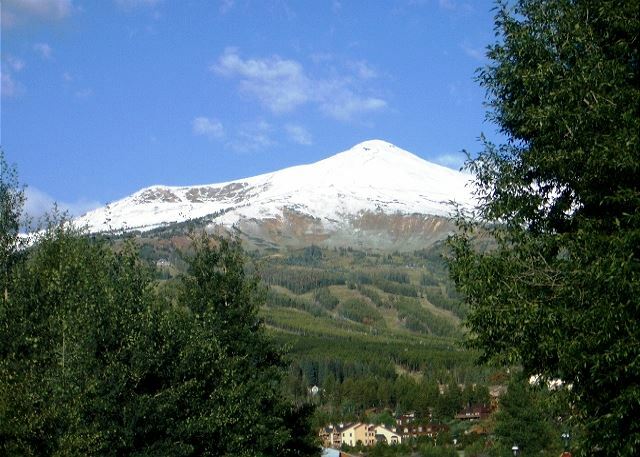 A beautiful get-a-way great for hiking and biking on hundred of miles of trails or just walk into town for the many Spring, Summer or Fall festivals that Breckenridge hosts. 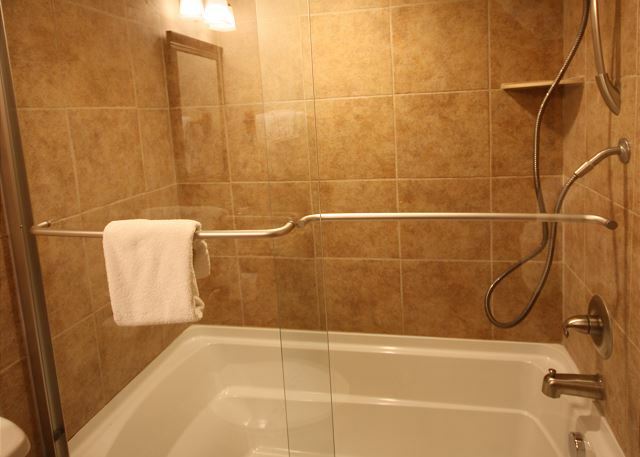 If you are looking for a stay less than 5 nights, call for availability we will make exceptions depending on availability. Perfect for a couples weekend away! 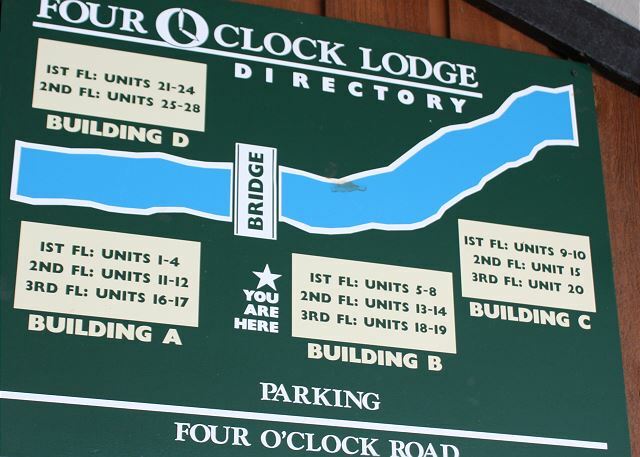 We thoroughly enjoyed our time at Four O'clock Lodge! 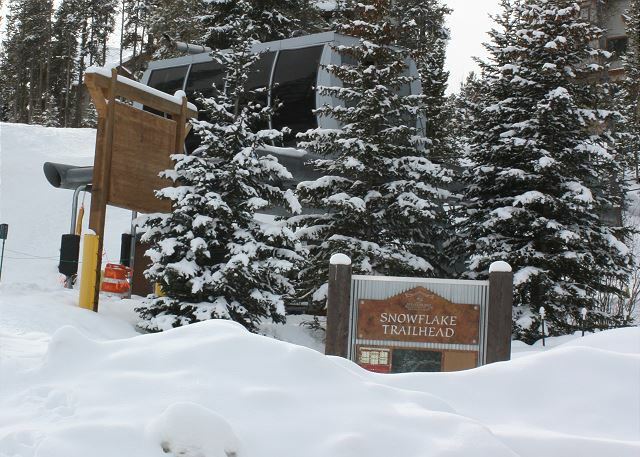 It was a short walk to the ski lift (less than 2 minutes), and we could ski back to the condo at the end of the day. 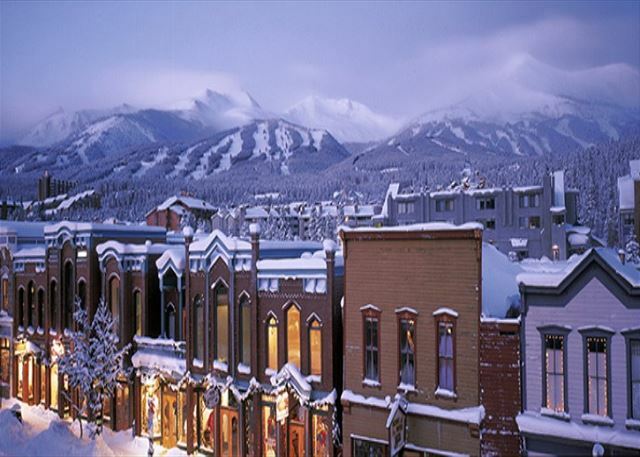 Downtown is filled with shops and delicious places to eat, so after a long day of skiing, there are plenty of good places to enjoy your time. 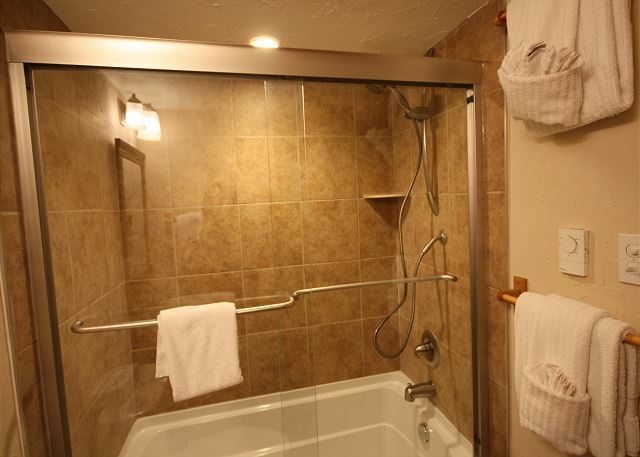 The condo itself was very cozy, well stocked, and has a very comfortable bed and lovely bathroom. It was perfect for the two of us. 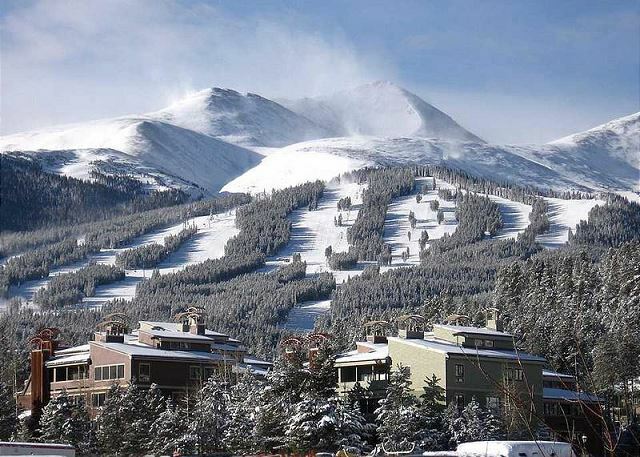 My girlfriend and I spent 5 days in Breck and we are so glad we stayed at this lodge. 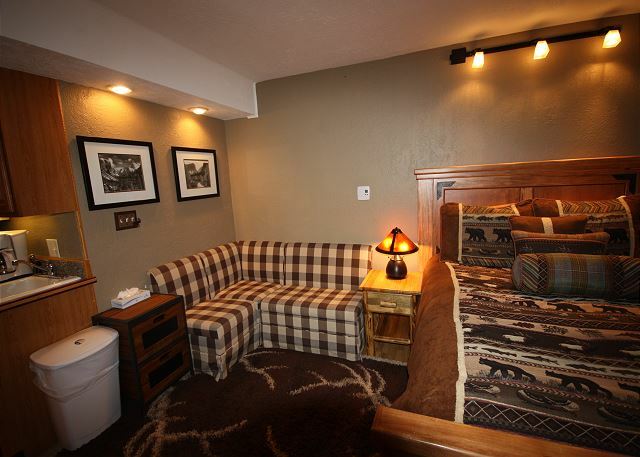 The room is clean and cozy and it is in the perfect location next to peak 8 and the gondola. Did not experience any issues with noise as someone else mentioned in a previous review. We’ll be coming back next year and i will definitely stay here again. Thanks for the great experience! We appreciate your response to your recent stay at the condo! 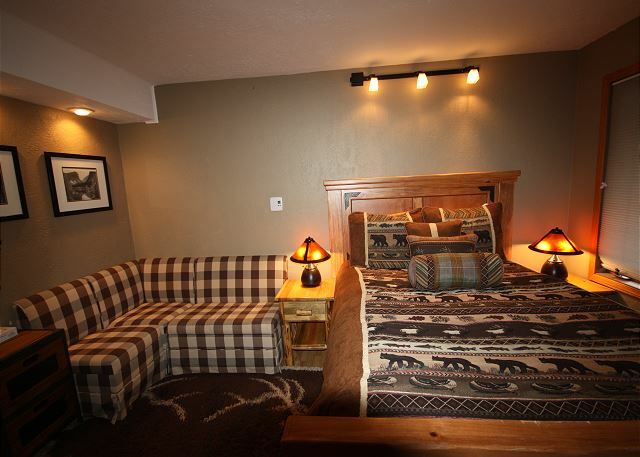 We love that you enjoyed the space and your time in Breckenridge! 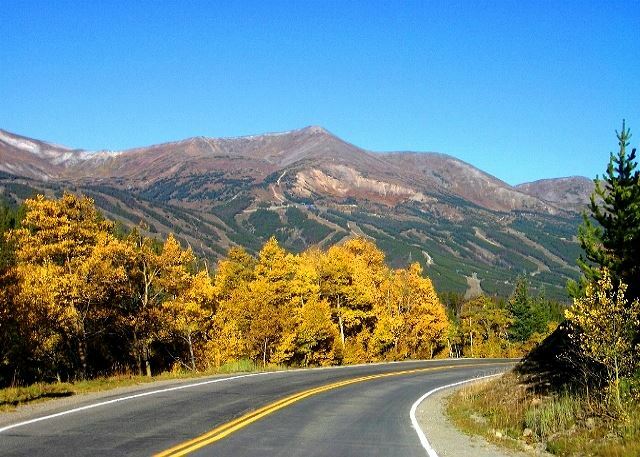 Alpine Meadows would love to host you again, see you in Breckenridge next time! 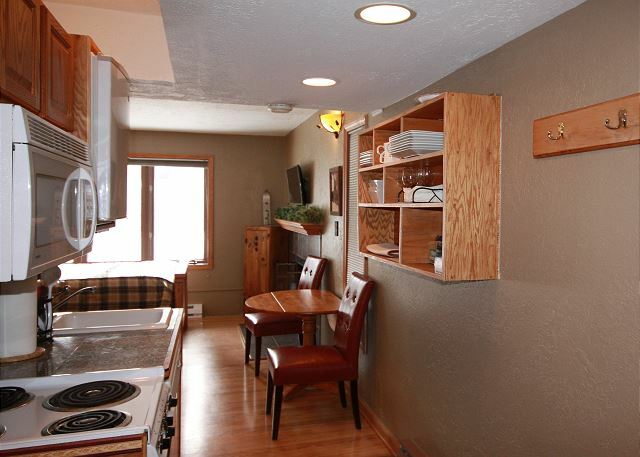 cozy apartment in convenient location. Perfect for a single person or a couple. Great bathtub for soaking in after a long day of hiking. Thank you for taking the time to send such a nice 5 star review of the condo! We enjoyed having you as a guest! 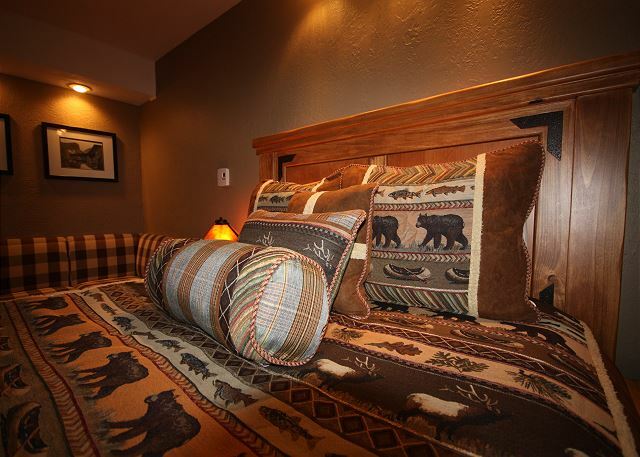 Thank you for choosing Alpine Meadows and B-05 for your Breckenridge vacation! We hope to see you again next time! Our stayed was very comfortable . Thank you for you recent review. We are glad you enjoyed your stay! 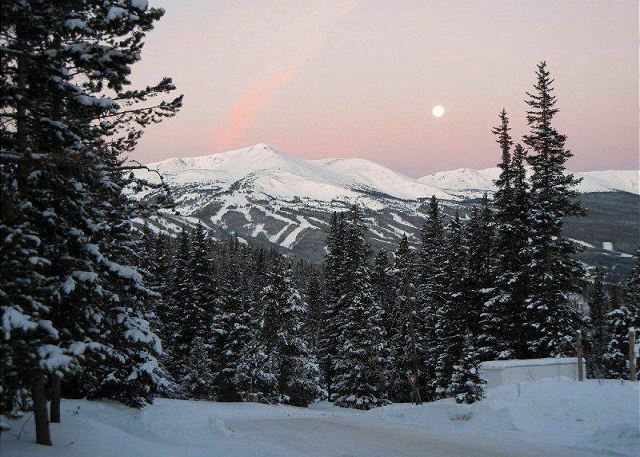 We hope to see you again for your next trip to Breckenridge! Perfect location for downtown and the Snowflake lift. 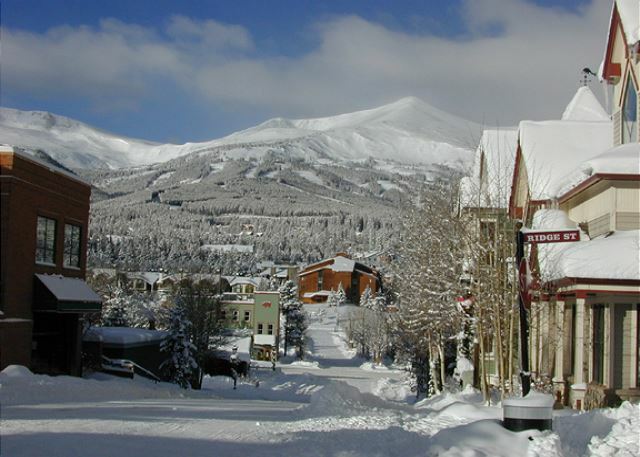 Clean, cute and just the right place to spend a few days in Breckenridge. 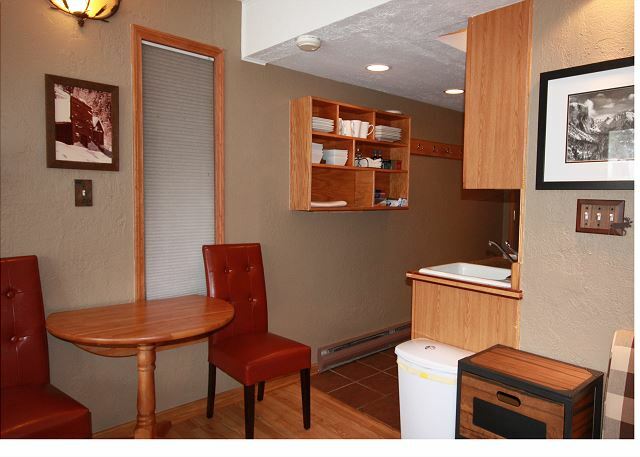 Nice studio condo for one person.Affordable. Kitchen adequate. Bathroom nice(radiant heat in floor) Clean. Quiet building. Plenty of towels, kitchen stuff, etc. Close to Snowflake lift and town. Major downer icy driveway that you had to walk across in ski boots. We absolutely loved the location with the convenience of being able to ski near the door to the room for lunch or for the last run for the day. Also, loved being a short walk to the snowflake lift to hit the slopes. The room was small, but for the two of us it worked out pretty well. The only issue we had was dealing with shortage of hot water on a couple of nights. Overall, we loved the stay and would not hesitate to stay at this location again. The unit was clean, and the bed was comfortable. The little couch isn't comfortable to sit on was the only negative, but we were there to ski, not sit on the couch. 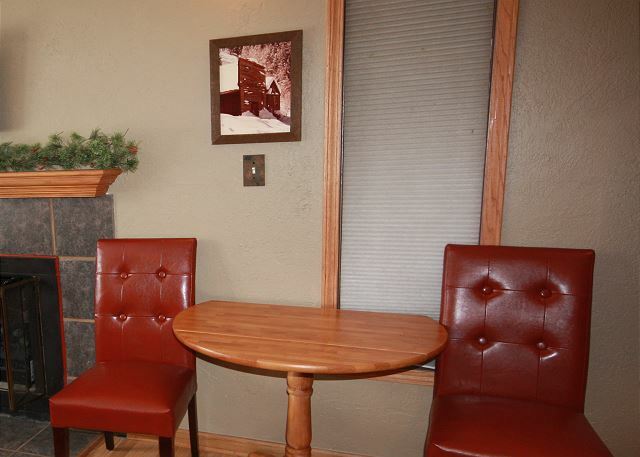 The location is about a 100 yards from the lift and about a 5 minute walk to main street. You can ski to the condo at the end of the day via the 4 o clock run. 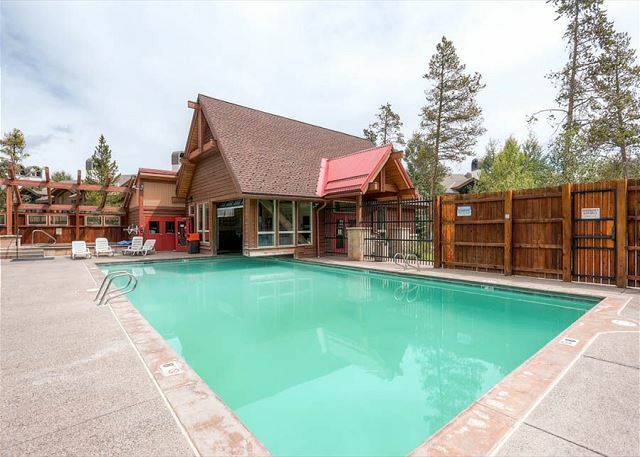 A great location and the price was very competitive. Would stay there again. 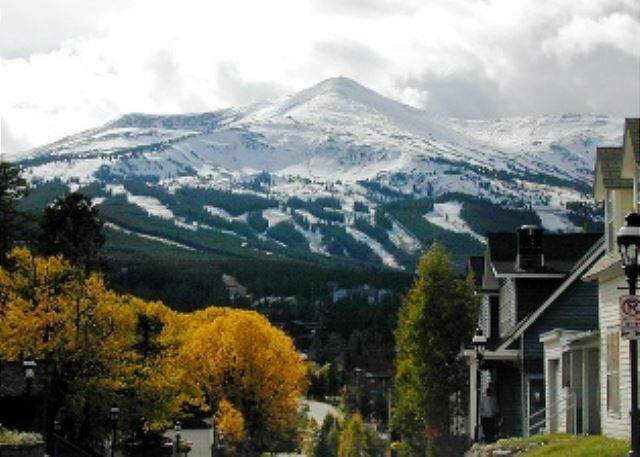 Thank you for the recent review of B-05, we are very happy to see that you enjoyed your stay at the condo and in Breckenridge, we hope to see you again for your next trip to the mountains! 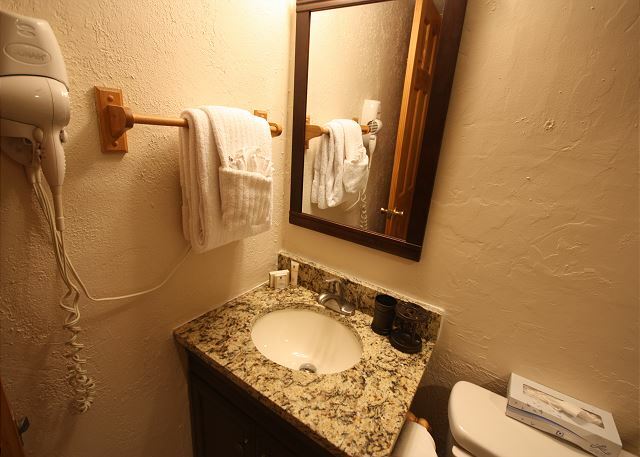 Breckenridge is an amazing town The suite was really good a good size for a couple only, everything you need. 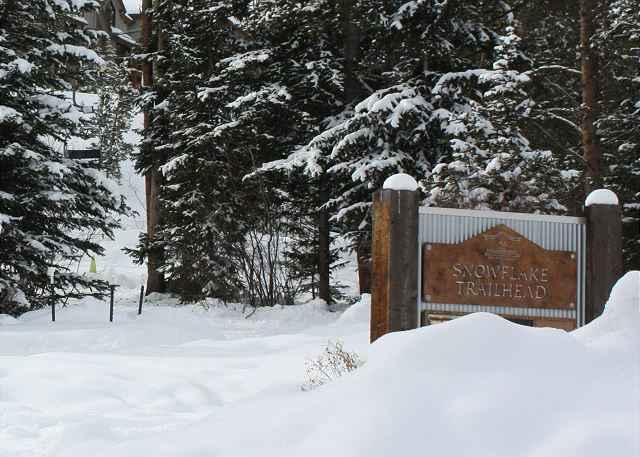 The location is amazon 150 Ft from the lift and ski store. 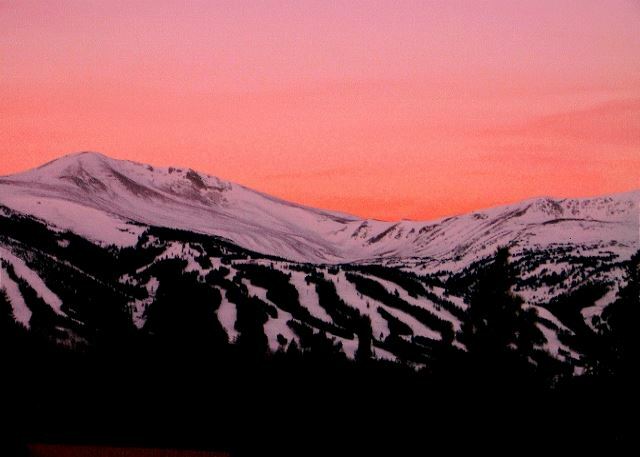 Alpine medows was an amazing service everything excelente since the start int process to The end, i arrived a little late nigth to breck and my keys Were at The office box as they has told me. Had a great time, rental was very clean and quite, close to town and the snowflake chair. We would def stay here again! 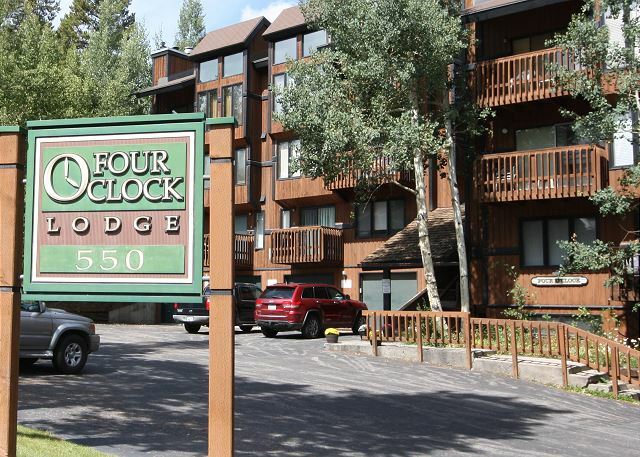 Thank you for taking the time to send us a review of the B-05 condo, we are so glad to read that you enjoyed your stay here in Breckenridge and the Four O'clock Lodge. 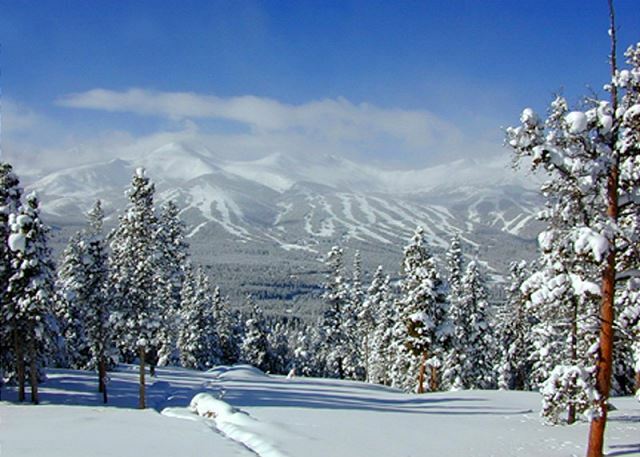 We hope you will keep us in mind for your next trip to Breckenridge. 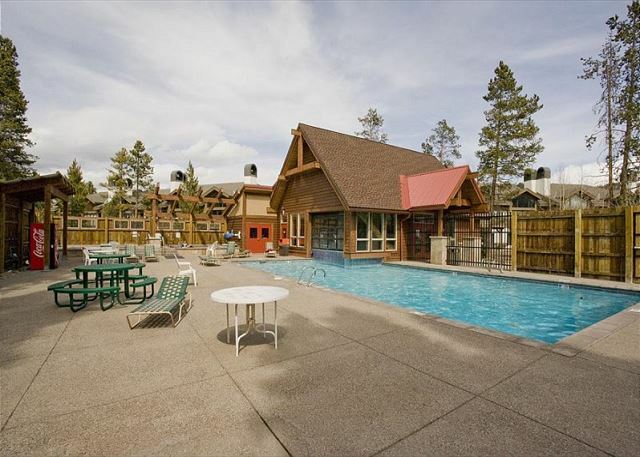 From check-in to departure, Alpine Meadows went out of their way to make you feel at home. They even quickly dispatched someone when I locked the keys inside and showed up in minutes with a smile. 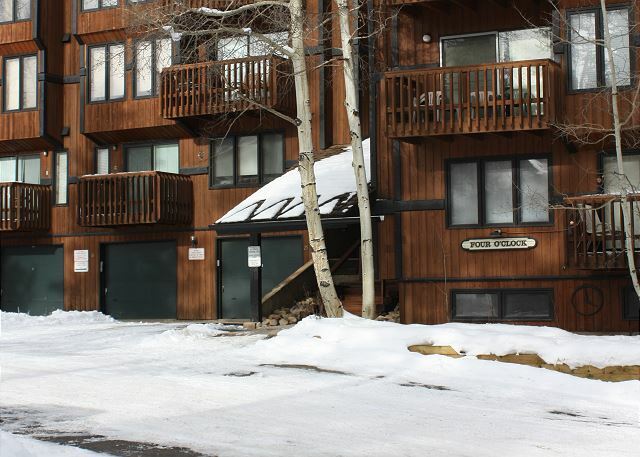 Ski right down to the condo and walk about 100 yards (uphill) to the Snowflake Lift. The only thing missing was a coffee maker. Other than that, the kitchen was stocked. 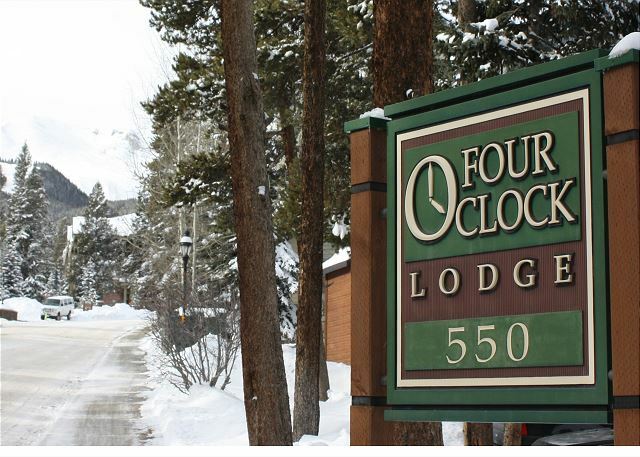 Thank you for your review of the condo at the Four O'clock Lodge, we are so glad you enjoyed your stay. 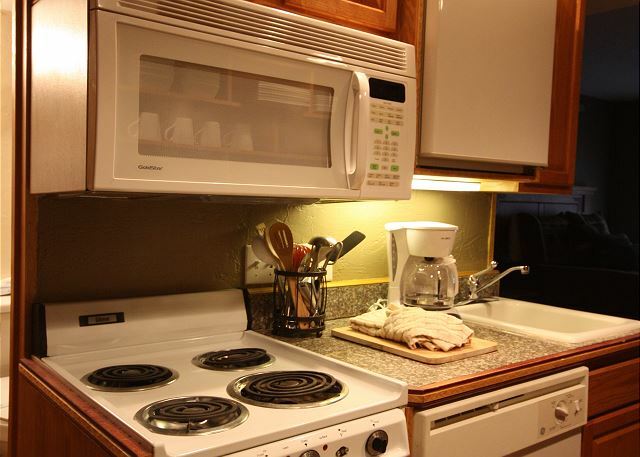 We have since put a coffee maker in the kitchen. 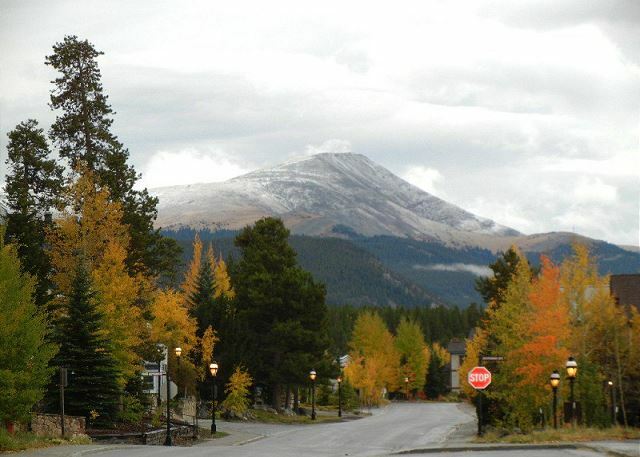 We hope to see you for your next stay in Breckenridge.